With the theme “ “Os Oceanos, Um Património para o Futuro” (“Oceans, a Heritage for the Future“), EXPO’98 took place in Lisbon, 1998. Considered a turning point for Lisbon and Portugal, from May 2 to September 30, 1998, the event attracted around 11 million visitors. EXPO’98 also had as its purpose to highlight the 500 years of the Portuguese Discoveries. It was a strategic project for the country and culminated with the regeneration of an area of about 340 hectares in the eastern part of the city, next to the Tagus River. Attended by 146 countries and 14 international organizations. 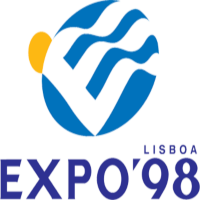 However, as in the digital world, much of the information disappears after a short time, only with Arquivo.pt you can even browse EXPO’98 page, serving as a historical and research base about the event. A moment that Arquivo.pt keeps for the memory of those days not be lost and for future research about their impact on the lives of all Portuguese. Travel through EXPO’98 with Arquivo.pt!